Congrats to Donna, who won Handcuffs & Ball Gags (Rawlings Men #6) by Kim Dare! Handcuffs & Ball Gags is being released by Resplendence Publishing today. Many thanks to Stephani Hecht for donating an ebook copy of her forthcoming m/m romance, Snapshots & Bylines (Friends to Lovers #1), for a lucky commenter to win! 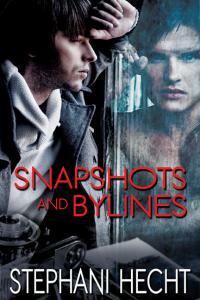 Snapshots & Bylines will be released by eXtasy Books on April 15. Best friends in high school, Marc and Sammy each harbored a secret attraction for the other, but neither dared act on their feelings for fear of ruining their friendship. Finally one night during the summer after their senior year, they gave in to their desires and had a passionate encounter. Well…as passionate as possible when one of them had a dog bite, the other an allergic reaction to strawberries, and both had a bad case of poison ivy. But just as they get together, Marc and Sammy were torn apart when life and family obligations interfered. It’s been ten years and Sammy never got over losing Marc. Even though he has a successful career as a social worker at the local GLBT youth center, Sammy has always felt as if a piece of himself is missing. Then one day Marc shows up at the center, wanting to film a documentary. Sammy is shocked and hurt that Marc stayed away so long only to turn up when he needs something. What Sammy doesn’t know is Marc had a good reason for staying away. One that could not only destroy their lives, but the love they once had for each other and any chance of a future together. To enter, leave a comment stating that you are entering the contest. Contest closes 7 pm CDT, Thursday, April 14. Posted by Chris on Wednesday, April 6th, 2011, at 2:00 am, and filed under Contests, Reading. 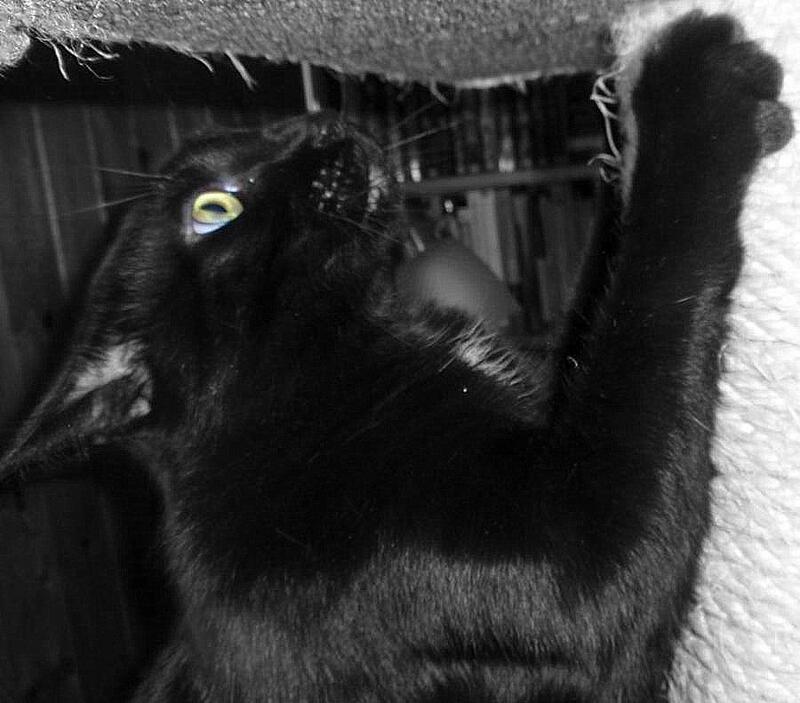 I love the scratcher pic! It made me chortle. Oh this one sounds really great. I love friends to lovers stories! Love that photo of Chaos. He looks so determined!! Enter me in the contest. I want to know what kept them apart! 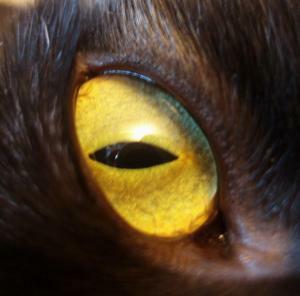 BTW, loving the cat photos. Sounds like the beginning of a great new series. Love Stephani Hecht’s books. I want in. Chaos, it’s nice to share. Love her books – count me in! New series, YAY!! Pls count me in. I almost missed this one. Count me in please! I also almost missed this one. Please count me in.